James Rodríguez – A threat to Franck Ribéry, Arjen Robben and Thomas Müller? With the departure of Douglas Costa to Juventus now official, and the loaning out of Serge Gnabry high on Bayern’s priorities, Franck Ribéry could have been forgiven for assuming his place on the champions’ attacking left was safe. However, this took a dramatic turn on Tuesday afternoon as Bayern München announced the arrival of Real Madrid midfielder James Rodríguez. The 25-year-old Colombian has swapped the Bernabéu for the Allianz Arena on a two-year loan deal – should he impress Bayern will undoubtedly chose to take up the option to buy clause they have negotiated. In a week which saw Romelu Lukaku move from Everton to Manchester United, in a deal that could reach over €100m, the acquisition of Rodríguez for a loan fee of €5m a season (with a further option to buy for €35m) is an exceptional piece of business for Die Bayern. During the 2014 World Cup, Rodríguez quickly became one of the hottest properties in world football, with Real Madrid eventually securing his services for €70m. During his time in Spain the Colombian was often used as a substitute – will a link up with Carlo Ancelotti at Bayern now provide him with the chance to step out of the shadows? Ribéry had a torrid 2016/17 campaign – initially his season couldn’t have started any better, a goal and assist on Matchday 1 saw Bayern destroy Werder Bremen 6:0 as the champions opened the season on a Friday night. An injury picked up during training saw him miss five key games, his return coincided with a loss away to rivals Borussia Dortmund – the Frenchman went on to only feature as a substitute in the next seven games before disaster struck again, a thigh strain saw him miss Matchday 19-21. In the remaining 13 fixtures the 34-year-old only played a full 90 minutes on two occasions, against Augsburg and Darmstadt – on Matchday 29 the left winger was omitted from the match-day squad as his teammates travelled to Bayer Leverkusen. Carlo Ancelotti also changed tactics midseason, moving from 4-3-3 to a 4-2-3-1 the Italian head coach looked to Douglas Costa and Kingsley Coman to provide the threat down Bayern’s left side — Ribéry increasingly became a bit part figure. Rodríguez’ arrival looks ominous for Ribéry, the Colombian seemingly a like for like replacement for the departed Costa. His arrival also fits the trend that Ancelotti is happier to work with established stars rather than develop younger talent. Serge Gnabry, not quite ready for the cut and thrust of the Bayern midfield will probably find himself at fellow Champions League side Hoffenheim – Julian Nagelsmann, the touted successor to Ancelotti, should be entrusted with the season long development of Bayern’s latest young jewel. Missing a third of the campaign last season to injury it was inevitable at some point that the popular player would start to take a back seat. The Frenchman has won everything possible with Bayern München – seven league titles, five DFP Pokal, the Champions League, the UEFA Supercup and the FIFA World Club Cup – his presence in the dressing room will be key as Bayern transition to a younger squad. He should be critical in helping not just Rodríguez settle, but also the German pairing of Sebastian Rudy and Niklas Süle who recently arrived from Hoffenheim. Rodríguez will bring with him the experience of back to back Champions League winning campaigns, something that Bayern would love to exploit. A disappointing exit at the semi-final stage, to eventual winners Real Madrid, poured a little sour milk on to what was an overall good season for Bayern. The addition of the Colombian signals the champions intent to fight on three fronts, knocked out of the Pokal at home by Dortmund (also at the semi-final stage) and chased hard by RB Leipzig in the Bundesliga, Bayern didn’t have it all their own way in 2016/17. What of Arjen Robben then? Newly arrived Rodríguez is left footed, but outside of his central attacking midfield role for Madrid the Colombian is most at home on the right side of the attacking midfield – Robben’s speciality is cutting in from the right and unleashing an unstoppable shot with his left. Unlike his French counterpart, Robben had a magnificent 2016/17 campaign. Although dogged by hamstring and thigh problems early on, the Dutchman went on to feature in 26 out of 34 Bundesliga fixtures – gaining many more 90 minute outings than Ribéry over the season long campaign. 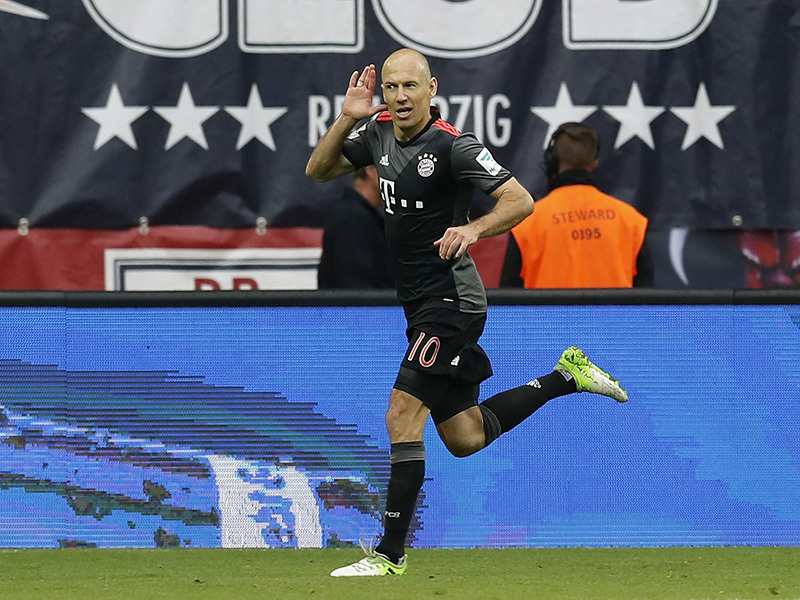 As Ribéry looked to tire, Robben became more important – In the final five Matchdays Robben scored on five occasions and assisted a further five. His performance away at RB Leipzig on the penultimate Matchday he seemed to roll back the years and give the sort of display associated with a player 10 years his junior. It was telling that during the season run in Ancelotti decided to rest him when relegation threatened Darmstadt came to town — it was obvious the Italian saw Robben as a key asset for both the Leipzig game, and the final fixture at home versus surprise package SC Freiburg. Robben is 33, one year younger than Ribéry and it is possible he may be susceptible, this coming season, to the type of injuries that saw the Frenchman side-lined for parts of last season – what the arrival of Rodríguez gives Carlo Ancelotti is redundancy in two key wide attacking areas. A front three of either Ribéry, Lewandowski and Rodríguez, or Rodríguez, Lewandowski and Robben would be enough to drive fear into most opponents. 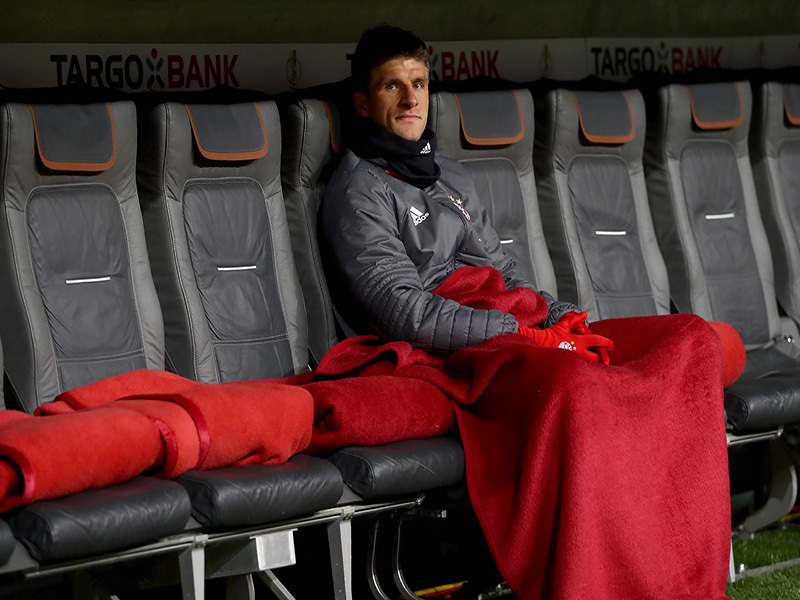 Thomas Müller – A frustrated figure? What then of Thomas Müller? The 27-year-old German had a rough season last time out – playing as a second striker in the 4-2-3-1 formation, and occasionally as a right winger in a 4-3-3, he only managed to find the net on five occasions. Should Ancelotti revert to a front three Müller could find his game time reduced, relegated to third choice on the right — if the Italian decides to opt for a single striker then his place just behind Lewandowski could be safe. What is for sure — the arrival of Rodríguez means Bayern München find themselves in a stronger position than they did as they claimed their 27th Deutsche Meisterschale two months ago. Do RB Leipzig and Borussia Dortmund have what it takes to break the Bavarian’s grip on the Bundesliga crown?